Honda has revealed a concept car with artificial intelligence, which would autonomously pick up and drop off other local passengers when the driver isn’t using it. The Honda NeuV was unveiled at this year’s Consumer Electronics Show (CES) in Las Vegas. It is intended to offer an insight into how the popularity of AI and sharing economies will influence the future of the transport industry, and particularly how it might influence car ownership. 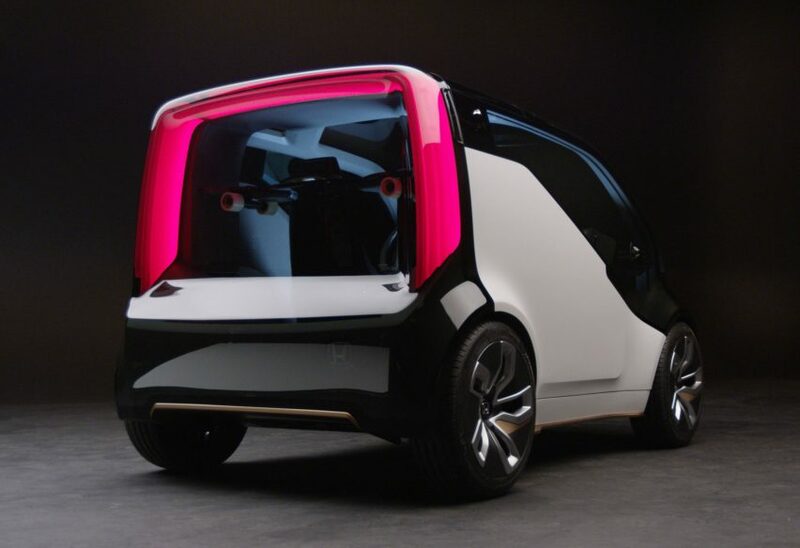 Similar to Toyota’s latest concept car, the NeuV is equipped with an artificial intelligence system that picks up on the habits and emotions of the driver. The HANA AI assistant, dubbed an “emotion engine” by Honda, would learn from the driver and detect emotions based on their actions. It would then be able to make new choices, such as music recommendations, based on the driver’s current mood. Having determined that privately owned vehicles are unused 96 per cent of the time, Honda also saw this project as an opportunity to explore the possibility of transforming private cars into an extra form of public transport. The electric-powered NeuV would be able to autonomously pick up and drop off customers at local destinations when the owner is not using the car – potentially making car ownership a more affordable option for those with low incomes. According to Honda, the car would also sell energy back to the electric grid during times of high demand when it is not in use. “We designed NeuV to become more valuable to the owner by optimising and monetising the vehicle’s down time,” said Mike Tsay, principal designer at Honda R&D Americas. Inside, the compact car features a touch-panel interface, two seats, a storage area in back, and an electric skateboard. Its futuristic-looking exterior is complete with a wrap-around panoramic windscreen.